Hand painted pin by Telestic Design in Kansas. 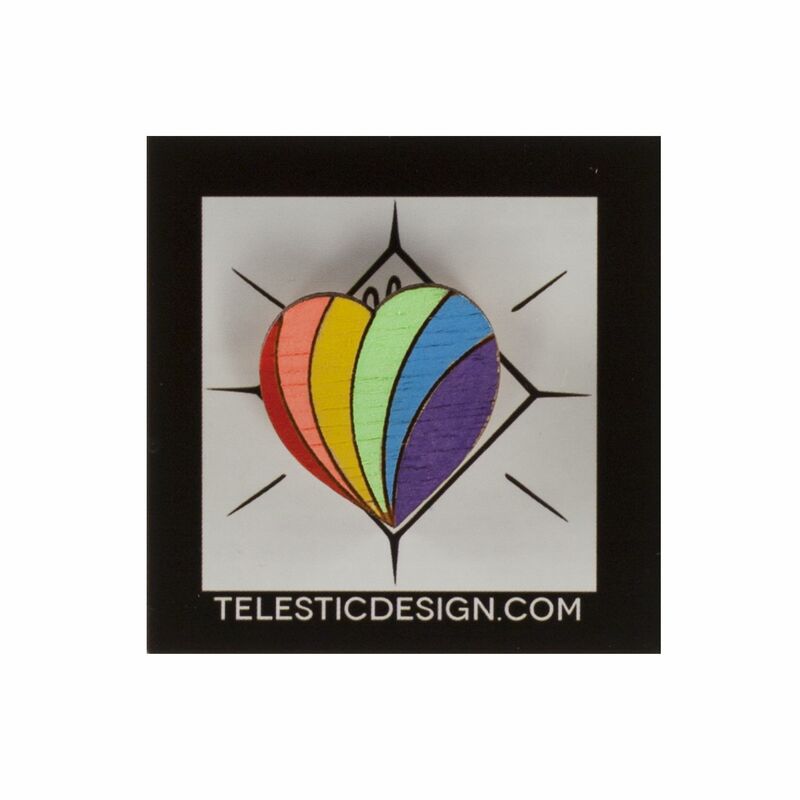 The pin is made from reforested birch wood and has a strong butterfly clasp on the back. Approximately 1" by 1".